This policy has been updated and replaced by a new policy statement approved in 2018. Further the work of Pacific Yearly Meeting. PYM shall appoint a Website Coordinator(s), charged with developing and maintaining the Website. The term of service shall be three years. Only the Coordinator may actually place and remove material on the Website. 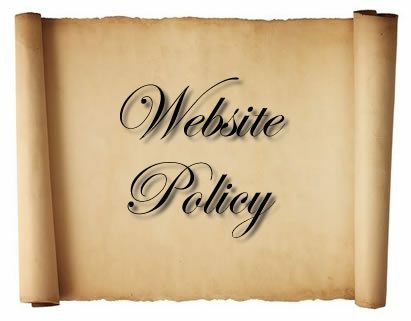 The Coordinator is permitted to publish any material that serves the Purposes of the Website and is consistent with the other policies described below. In case of uncertainty about the appropriateness of material proposed for the Website, the Coordinator shall consult with the Clerk of the Electronic Sub-Committee, PYM Ministry and Oversight Committee and/or the Presiding Clerk of PYM as necessary. Guidelines for the Website Coordinator: Faith and Practice and the mission of Pacific Yearly Meeting should serve as a guideline for what goes on the Website. If the material comes from Faith and Practice there should be no problem with publishing it. If it comes from the work of a committee or officer or a Meeting in the Yearly Meeting, or is work we have taken on in the world, it can be published on the web site. Otherwise it might be better placed on another web site. The web site should reflect who we are as a community and not Friends in general. Whatever is placed on the Website should be dated when entered. The Website shall not reveal contact information about any person unless that person explicitly requests that such information be published. Contact information shall mean any information that would allow a third party to contact any person by phone, mail address, e-mail, or by any other means. Blind links may be established to provide contact points for information that requires further communication. The Website may display names and easily recognizable photographs of persons as long as permission to do so is obtained from the persons involved. The Website may contain statements about Friends practices and beliefs, as long as any such statement reflects the viewpoint or practices of a significant number of Friends, or is an important statement about Friends, either from the past or in the present. Such statements do not necessarily have to represent an adopted position of this Yearly Meeting, or even the views of any Quarterly Meeting or Member or Attender of a Monthly Meeting or Worship Group in this Yearly Meeting. In cases where a statement might be mistakenly construed that it represents the considered opinion of this Yearly Meeting, when in fact it does not, an explicit notice that the statement does not necessarily reflect the views of the Yearly Meeting will be displayed near the statement. However, generally, for statements that are clearly attributed to some other organization, to an historical figure, or to a specific individual writer, it can usually be assumed by context that the statement does not necessarily represent the views of this Yearly Meeting. From time to time, the Yearly Meeting may formally agree to publish a statement that does reflect a viewpoint that has been considered and approved by the Yearly Meeting. Such statements will be marked as such. Any PYM officer, PYM committee, or PYM representative may submit material related to its charge for publication on the Website. Such materials should serve the purposes of the Website and be consistent with these policies. The Coordinator is not expected to automatically place these materials on the Website. Requests for such placement should be made to the Coordinator in good time. Any constituent Quarterly Meeting, Monthly Meeting, or Worship Group under PYM‘s care may submit material for publication. Such material should serve the purposes of the Website and be consistent with these policies. With the approval of the Electronic Sub-Committee the Coordinator may use linkages to outside organizations with which the Yearly Meeting has a strong and comfortable relationship (such as any of the organizations to which PYM makes financial contributions or designates persons to represent it). On occasion materials from such outside organizations may be published with the agreement of the Clerk of the Electronic Sub-Committee. Such material should serve the purposes of the Website and be consistent with these policies and the guidelines. All requests for publication of material on the Website should be submitted to the Coordinator. The submitter must ensure that the material being submitted is consistent with all of the guidelines outlined in this document including Section 2 – Privacy. It is also the responsibility of the submitter to inform the Coordinator when the submitter’s materials should be changed or removed. Nevertheless, the Coordinator may remove submitted material at any time. The submitter is responsible for the accuracy of the material submitted. Information on the web site should be accessible to people with disabilities. To the maximum extent possible content posted to the site should conform with the W3C accessibility guidelines. In addition material should be formatted in ways that allow quick viewing by visitors with average computer skills who connect to the web with a telephone using commonly installed software. Material falling short of either of these goals can be published if the Coordinator believes some benefit outweighs the inconvenience this material may cause some visitors.